Chen MR, and Gragoo JL. Knee Surg Sports Traumatol Arthrosc. 2012; [Epub ahead of print]. Non-selective (NSAIDS) and selective (COX-2 inhibitors) nonsteroidal anti-inflammatory drugs are often used during the inflammatory stage of healing because of their analgesic and anti-inflammatory properties. The use of these drugs, especially following surgery, is controversial because some pathways of tissue healing may be disrupted by the drugs in an attempt to gain the desired effect. Therefore, Chen and Gragoo performed a review of literature to assess the evidence of an effect of NSAIDS and COX-2 inhibitors on soft tissue and bone healing. The authors performed a MEDLINE search using the following keywords: “nonsteroidal anti-inflammatory or cyclooxygenase 2 inhibitor and bone, fracture, tendon, or ligament and healing.” Studies were excluded if the studied drug, a) was not available for patients in the United States, b) had only 1 animal study, and c) was only assessed in an in vitro study or did not examine fracture healing. Initially, they identified 637 articles but following removal of duplicate findings and applying the exclusion criteria a total of 44 studies (9 soft tissue, 35 bone healing; 39 animal, 5 human studies) were analyzed. With respect to soft tissue healing, the authors identified 3 medications with enough detail for analysis: indomethacin, piroxicam, and celecoxib. Analysis revealed that both indomethacin and celecoxib had insufficient evidence to determine their effects on soft tissues healing; however, piroxicam showed no detrimental effect on soft tissue healing. Three studies also looked at indomethacin and celecoxib but with respect to soft tissue-to-bone healing. All of these studies reported a detrimental effect on soft tissue-to-bone healing. Finally, 29 studies observed bone healing in both animal and human models and identified 7 different drugs (indomethacin, ketorolac, celecoxib, ibuprofen, diclofenac, piroxicam, “NSAID exposure”). Of these 29 studies only 1 study found any type of beneficial influence of anti-inflammatory drugs on bone healing, while 32 studies found the effects to be either “no effect” (10), “no effect/detrimental” (7) or “detrimental” (15). Among these, indomethacin was suggested to be detrimental to bone healing while piroxicam had evidence that it was not. Overall, this review concluded that the short-term, low dose use of anti-inflammatory medications is prudent in treatment of sports medicine injuries and following surgery, but should be avoided if bone healing is needed. While these results seem simple one must be cautious when deciphering them since the studies included animal models and human models. Further compounding the results is that the animal model studies used various animals (rabbits, mice and rats) and evaluated varying drug dosages. Therefore, a true comparison of the studies’ results was extremely difficult. With that being said, this does seem to support the current clinical practice of recommending short-term, low dose use anti-inflammatory medications to athletes who have suffered soft tissue injuries. In cases where clinicians are advising patients following surgery, care should be taken to identify what was done during the procedure to adequately advise patients as certain anti-inflammatory medications seemed to have a detrimental effect on bone healing. Tell us what you have found when recommending anti-inflammatory medications to your patients. Where do you get your dosage recommendations? How much does the specifics of the injury play a role in your decision whether or not to recommend anti-inflammatory drugs? 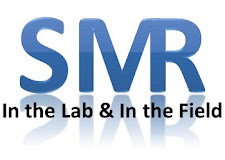 SMR Note: SMR does not traditionally provide posts for critical or narrative reviews but since this topic often comes up in discussion we felt it was appropriate to have a post. Please keep in mind that narrative reviews are not the same level of evidence as a systematic review.